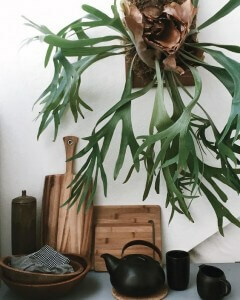 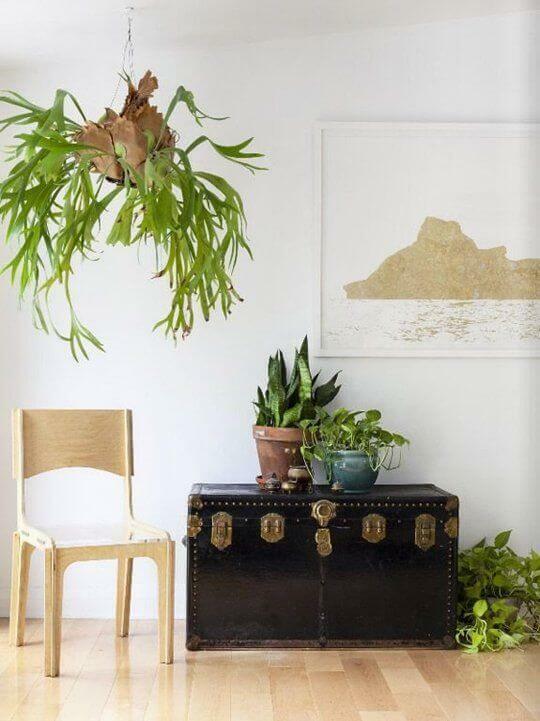 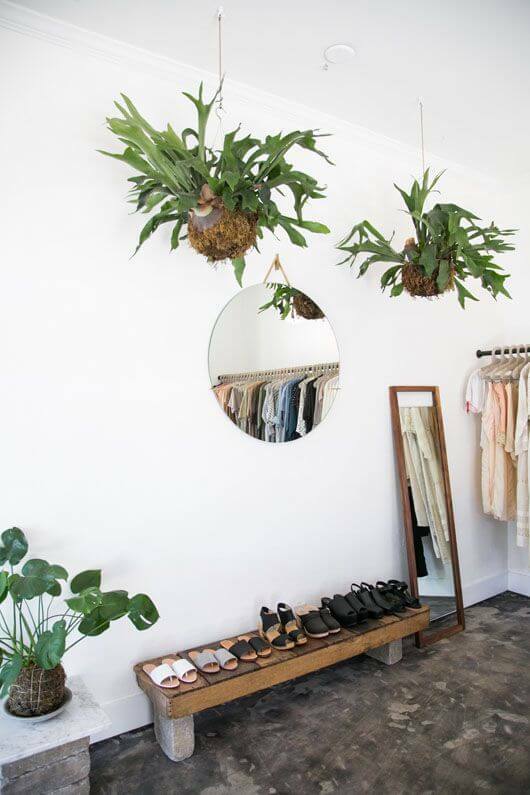 Staghorn Ferns are epiphytes, which means that they prefer to grow attached to something else above ground and gather nutrients from the water runoff of their host. There are a couple of ways of growing these ferns. 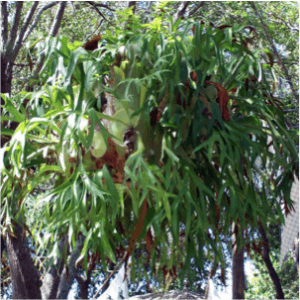 For small specimens they may be grown in pots until they begin to outgrow these but he most popular way of growing them is attached to a board and hung in a shaded area.